The Textile Division evenly blends technological resources with diverse product configurations, so offering the full potential of Matrix technology to this large and important sector. 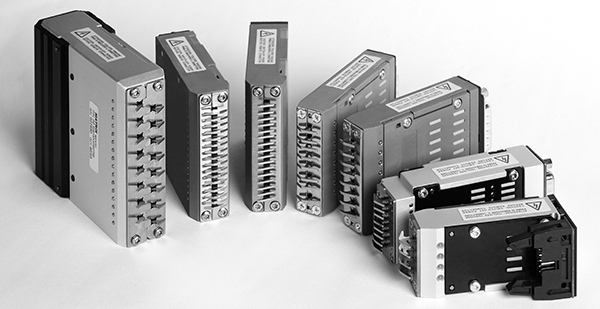 Starting from the development of innovative pneumatic solutions for implifying and rationalising industrial plants, leading thus to increased performance and further design evolution, Matrix products have also quickly established themselves in the electronic selection field. Matrix offers a vast and complete range of selection boxes, all of which are characterised by their extreme modularity and adaptability to all types of textiles. With this kind of technology, Matrix can guarantee unequalled precision and selection speed, combined with superior reliability. The textile division’s product catalog also features a wide series of electronic controls based on last-generation microprocessors, which integrate perfectly with the selection systems, solenoid valves and pneumatic systems also produced by Matrix. The high technology and the quality level, supported by a strict cooperation with the textile-machine manufacturers and a constant research work, has allowed the company to obtain outstanding results.